It’s no secret that I’m a big fan of the brand Su:m 37. You give me anything from this brand and I will love it wholeheartedly. It’s much like my blind love toward Menard. Alas, I will try to give you my objective review regarding this cleansing balm. Although, it’s hard to so with that pretty pear-shaped packaging. I’m a sucker for pretty packaging. There are times that I’m willingly part with my hard-earned money just because a certain product came with pretty packaging. So what is it? It’s a solid balm cleanser that will melt into oil once it come into contact with the warmth of your skin. Very easy to scoop out, it’s almost buttery. I think this is the kind of cleanser which is perfect for everyone. The packaging: As you can see the pretty frosted glass pear-shaped packaging. There’s a spatula that you can put on top of the lid and it will sort of glued there magnetically. Which makes the whole experience of popping it back into the lid a wonderful one. Why you should give the Osmia Organics Black Clay Facial Soap a Chance? If you’re a regular reader of my blog, you must know by now that I despise high pH cleanser and I always try to choose low pH cleanser. But when I had this black clay soap from Osmia Organics that I received from one of my Beauty Heroes boxes, I thought why not just give it a try. It’s inevitable with saponified soap bar that the pH of the cleanser will be high. Thankfully this one doesn’t go as high as 9 and maintain its pH lower than 8. Still it isn’t the pH that I’m looking for but since I have this at my disposal, why not give it a try. The Osmia Organics Black Clay Facial Soap is one of their best selling soaps and made with Australian black clay and dead sea mud to balance and tone the skin. On top of that this product is enriched with organic coconut milk, which we all know coconut is a great anti bacterial ingredient – or is that just the oil? I don’t have oily skin, but I find that balancing products tend to work wonders to my skin when I’m on my PMS or period cycle where I often experience hormonal acne and heightened sensitivity on the skin. Prior to this I’ve tried their Facial Calibration Serum to replace my Sunday Riley Artemis and it works wonderfully. So with the success of the first product, I’m more open minded to try other products from Osmia Organics. I’m going to review yet another cleanser. I know *yawn*, another cleanser! But I’m trying to clear out as many of my cleansers review as I can because apparently I have alot to catch up. 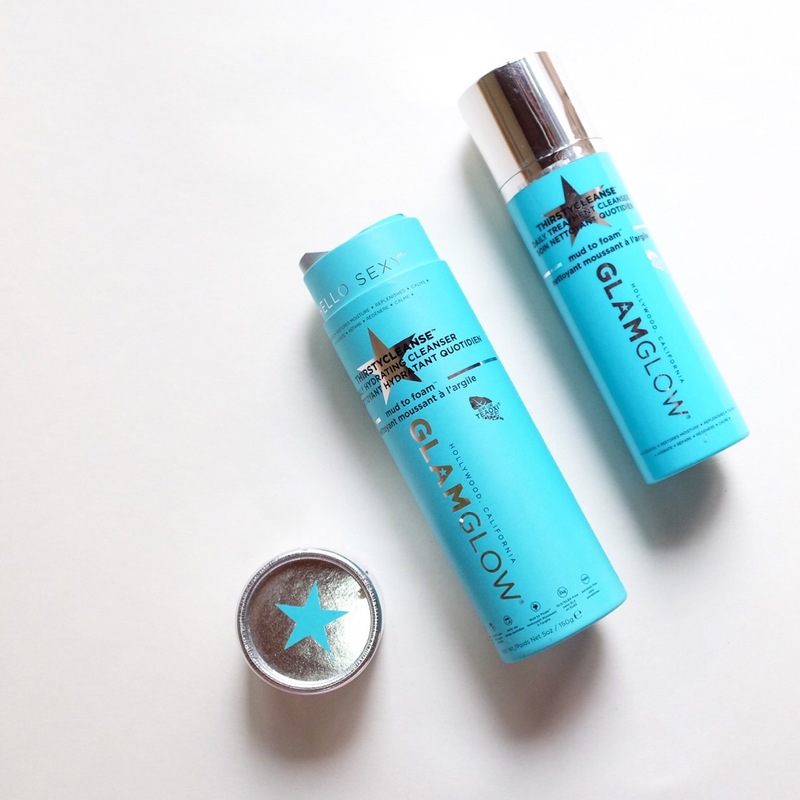 It seems like I’m missing out alot if I don’t write the review of this renowned Glamglow Thirstycleanse. It was so popular that they seems to be low of stock on one period of time. Or was that the mask? I totally forgot. Alrighty, let’s begin our review. What is it? Quoting it straight from Sephora. THIRSTYCLEANSE™ is a revolutionary daily cleanser that combines the power of mud and the performance of foam for a new daily cleansing experience. It transforms from a luxurious mud into a moisture-rich foaming lather to gently and effectively rinse away makeup, dirt, and impurities while deeply moisturizing your skin. It is formulated with rare Brazilian yellow clay to help to remineralize the skin, pure green coconut water to immediately boost skin for intense hydration, olive milk rich in olive lipids and proteins to replenish skin, and plumeria flower blossom extract rich in omega 3, 6, and 9 to restore the skin barrier function. Indian gooseberry revitalizes and restores natural skin clarity while TEAOXI® olive leaf powder delivers natural linoleic acid to maintain moisture. Designed to create a hydrated, silky, and dewy fresh complexion, it helps maintain results of your current weekly treatments for healthy-looking, beautiful skin. In my own word … it’s basically a slightly muddier and thicker version of your usual Thirstymud mask with a soft grit from the clay with the same caramel color and scent. This one however cleanses your face and it turns milky easily!